As an HR agency it’s always necessary to evolve with the current hiring trends and needs of companies. Whether it’s about keeping a track of the industry dynamics, emerging social media tools, mapping the skill gap or even building your brand a recruitment firm should be equipped with knowledge. The role of HR managers has drastically changed with time. Unlike earlier where the task of the HR managers was to review, fix interview and find a suitable candidate for the job. Today the HR managers are required to understand their business operation, each department work process, skills needed, understand the dynamics of each department & industry and most importantly align the behavior pattern of each individual and department with the company’s vision. They are specifically trained and skilled to handle a lot of things other than just recruitment. You can have a look at the following points to get an idea about the various roles of an HR these days. Maintaining Workplace Safety- Another important job role of an HR these days is to ensure workplace safety. The HR of the company is responsible for maintaining federally mandated logs in case of any workplace injury. It is the duty of the HR to make sure that the work environment is safe and healthy enough for both the employers and the employees. Employee and Employer Relations- The HR is the main medium of communication between the employee and the employer. They make the employees aware of the various laws, needs and targets set by the company from time to time. On the other hand, they report to employers about the performances of the employees and their achievements from time to time. 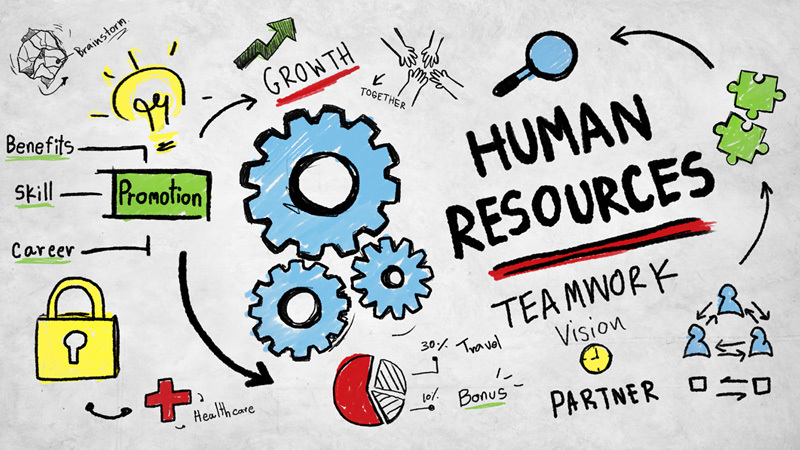 Training and Development- Training and development has become a key role of HR these days. Proper training and development must be provided to the various employees so that they can add to the benefits of the company adequately. Leadership training programmes must be provided to newly hired managers and supervisors so that they can efficiently manage the team working under them. Benefits and Compensation- This is a very important role of a HR.They review the performances of the candidates from time to time and suggest an appraisal to the management accordingly. They are highly aware of the compensation rates of other companies in the market and they work accordingly to keep their company up to date. This not only helps in retaining employees for a longer period of time but it also helps in attracting desirable and qualified candidates for a particular job profile. The HR of a company also keeps the employees aware of the various perks and advantages that they are entitled to as employees of a particular organization. A company that is popular among its employee has a better brand image and market reputation. Now that you are aware of the various roles that an HR plays, next time you hire an HR, hire someone who is skilled and experienced enough. You can also seek help from placement consultants while hiring an HR for your company.